If your business is in dire financial straits, you need to immediately turnaround your business. A turnaround is different from a restructuring in that it is much more comprehensive and very swift. To implement a successful turnaround, you must perform the following ten steps. It is optimal to do it in the order presented. Many small- and medium-size business owners have used these steps to effect a successful turnaround. The strategic business plan should include a significant sales/marketing component, especially if poor sales is your issue. You should also begin writing an extensive operation plan. Since many of the issues stem from poorly run financial and other operations, START the operations plan but do not finish until you complete some of the other steps. You do not want to document operational procedures that do not work for you! Companies that write business plans and refer to them at least on a quarterly basis get into financial trouble? Why? 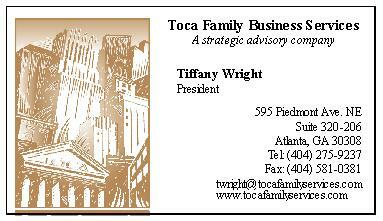 Business plans establish a clear vision of the future. Regular follow-up enables companies to track whether their assumptions are correct and why or why not. The draft business plan, or the abbreviated version aka the executive summary, needs to be shared with the management team, bankers and other lenders, shareholders and investors, and employees. All of these stakeholders should know what the company's plans are and what the strategy is to accomplish those objectives. They also need to understand the role they play. Knowing this, company owners' (and management) can solicit valuable input on how to quickly turnaround the company and make it, then keep it, successful. Step 2: Meet with strategic advisors, management and any other key personnel. Step 5: If you CANNOT pay your payroll or sales taxes, contact tax authorities. Failure to pay payroll taxes can land you in prison. If you CANNOT pay them, contact the government immediately and notify them of your problems. In this case, the best defense is definitely a strong offense. They can put you on a repayment schedule. Otherwise, if you wait, the federal government could swoop in and shut the business down for failure to pay. And your worries will have just begun. If you can't pay your sales taxes, notify the state and local authorities. They have a tendency to place liens and file suits in court, which would only add to your financial woes. Notify them in advance and work out a repayment plan. If you are in dire financial straits and in need of a turnaround, unless an excessive non-budgeted income tax burden was the cause of your woes, you won't need to worry about income taxes. With turnarounds, the losses are typically so great as to minimize or negate income tax concerns. If you have high income but egregiously poor cash flow, the latter of which is causing your woes, then do notify the IRS and state before your quarterly taxes become due. They will also work with you during this difficult period. Ignorance is NEVER bliss when it comes to taxes. Educate and inform the tax authorities and they will know you are not practicing tax avoidance.